working as good as they would like. Sometimes the won’t be getting cold, and sometimes there will be a musty sort of smell coming from the inside of the car. It is just not the same driving on a hot day with the windows wound down. You will probably find that your air-con needs to be re-gassed, or a more thorough service and inspection may be required. was invented back in 1939 by Packard, in America and was the first to be fitted in the factory in 1940. The first refrigerant used in air-con was thought to be highly damaging to the atmosphere, and a safer gas was later used in the 1960s. Most of our customers know that it is Air-Conditioning Time choose again and choose to have their air conditioning serviced yearly. This will clean out all the dirt and germs that have built up in the course of time, it will also recharge the gas as necessary. The other option would be to leave your air-con until there is a drop in the air con temperature and performance. There is a risk of leaving your air-con until there is a problem, the problem may arise with the result in a bigger repair and a bigger bill. Either way, in between summers, you do still need to think about your air conditioning system, we recommend that you leave the air-con on all through the autumn and winter, this stops the gas pressure from falling. Many motorists are under the impression that Air-Conditioning Time is just for hot weather. In fact, you will need to use it all year round, otherwise, it will be highly unlikely to be working properly on the hot days we do have, (as we are experiencing at the moment) In the colder months of winter, you can use your air- con system to warm the car, and it will also remove moisture from the air so that windows do not get misted up, this something that drivers do not know. If your car is fitted with climate control it is often tempting on really hot days to turn the cold button as far down as it will go, but unless you are on a long journey, the chances are the system won’t be able to achieve the low temperature that you are looking for. Then when you exit the car, you feel like you’re stepping into a hot, steaming forest. Not very comfortable at all. You are much better off aiming for an in-car temperature of just a couple of degrees lower than the outside temperature. You will feel more comfortable in the car, and it won’t be such a shock when you get out of the car, (we have all been there, when we hire a car in say Spain and the inside of the car are nice and cool, then when we get out it’s like stepping into an oven), if you don’t have the inside temperature so cold then your body won’t get such a shock when you hit the heat. out by a good auto-centre as soon as possible, particularly if you or any of your family has any breathing problems such as asthma. It indicates that there are bacteria in the car’s air-con system (often caused by leaves going mouldy and blocking up the exterior vents in Autumn, so do remove any that you see there!) you can also smell the bad smell coming in from other cars, this is very common and nothing to worry about. In the Halifax area of West Yorkshire, you can have your air-con serviced by experts. Pellon Tyre and Auto-centre offer car and van servicing and Car Air Conditioning Service and repairs to all makes of vehicles. We are members of Unipart Car Care centres and give a nationwide guarantee for all our work and parts. We also sell tyres online from our website www.pellonautocentre.com by using the tyre selector and choosing your tyre size. We offer courtesy cars to local motorists who need to go to work and leave their car with us for work doing. We are also an official MOT testing station and are members of Motor-codes, who carry out checks for a high standard of equipment and workmanship. https://www.pellonautocentre.com/wp-content/uploads/2015/06/Logo_PellonCleanTrans.png 0 0 Eric https://www.pellonautocentre.com/wp-content/uploads/2015/06/Logo_PellonCleanTrans.png Eric2018-11-20 04:19:412018-11-20 04:19:41Air-Conditioning Time-Service your cars AIR-CON the weathers starting to warm up ? conditioning unit is much more complex. is a system that works much like your own bodies blood system. The air cons compressor is the heart that pumps a refrigerant called EPA throughout the Car Air Conditioning Service unit .EPA, a combination of gas and liquid, causes the air to cool when it is compressed. When the EPA coolant levels are low your air con will not work, this where an air con check over is required. In the check over the freon levels will be checked. Like your ordinary household air conditioning unit, your auto air-conditioning system will not work as it should when Freon Gas levels are low. Make sure you have a mechanic check Freon levels regularly before the unit experiences a major breakdown. To make it possible for the EPA coolant to carry the heated air away and leave the car with cold air depends on the pressure that is applied to it. Air coming into the condenser helps in this process. This is the reason why, sometimes, for older models of air conditioners, the temperature is cooler when the car is travelling at full speed than when it stands idle. This allows the compressor to pump EPA coolant harder and faster. Therefore, this helps the air- conditioner system to operate much more efficiently. As I have said earlier the first time we start having hot weather is when we turn on the AC button and nothing happens. We have all done it ?. The kids are shouting the wife’s boiling hot and shouting at the kids, all because the air-conditioning doesn’t work. More than likely the air-con system will be low on coolant fluid, and this can be corrected by checking with you local auto centre and having an air-con service, this costs around £50, but is well worth the money and leaves your car nice and cool on these few hot sticky summer days. Pellon Tyre and Auto-centre offer car and van servicing and repairs to all makes of vehicles. We are members of Unipart Car Care centres and give a nationwide guarantee for all our work and parts. We also sell tyres online from our website www.pellonautocentre.com by using the tyre selector and choosing your tyre size. We offer courtesy cars to local motorists who need to go to work and leave their car with us for work doing. We are also an official MOT testing station and are members of Motor-codes, who carry out checks for a high standard of equipment and workmanship. Fixing Car Air Conditioner- If it blows hot air then it is not working? This is a video about what happens when your car’s air-conditioning starts blowing out hot air. Hence this is an indication that you could have one of three conditions. As a result, you could have a refrigerant leak, AC electrical problem or clogged condenser. Your car’s air-con uses a refrigerant to remove any heat from inside your car. Thus making the car cooler and more comfortable. If your AC system develops a refrigerant leak in the system from a leaky connection or damaged AC hose, the refrigerant will evaporate and make the air conditioner loose its performance. If the AC system has an electrical problem such as a switch or wire that has shorted and blown a fuse, then the air conditioning system will malfunction. Other symptoms include the possibility of a leak in the air-cons pipe system. Even a small leak can cause your system to lose its heat. Another common problem is a clogged up condenser. 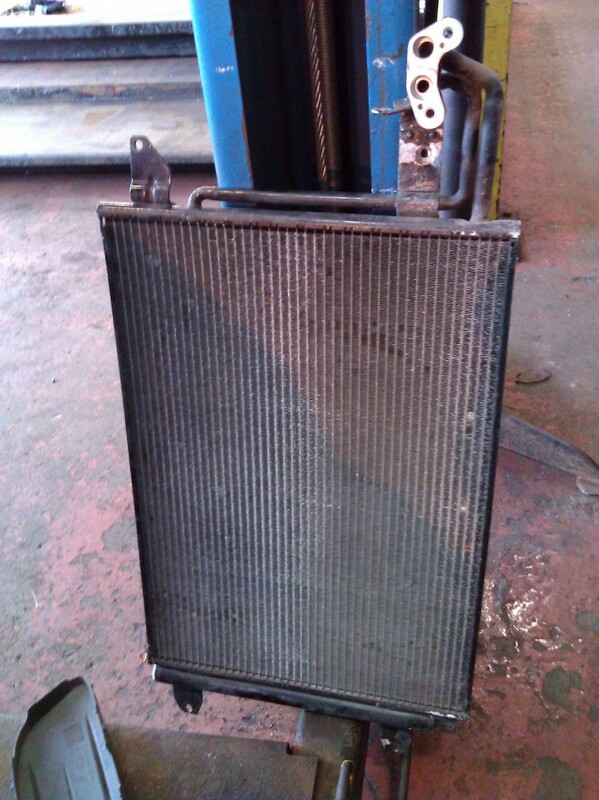 The condenser is the piece of equipment that looks like a radiator. This is positioned at the front in a similar place to the radiator. We here at PellonAutocentre in Halifax UK, find this one of the most common problems. Fortunately, we have the equipment to find faults and repair the problems. Our staff have passed exams to qualify using this equipment. This video is attributed to Scotty Kilmer. Naturally a mechanic for the last 46 years, Scotty shows how you can fix your own car’s air conditioner. This is not advised without the correct equipment here in the UK. And, If you like my car help, be sure to watch my live car talk show every Saturday morning at 10 AM CST on YouTube. I answer your car questions LIVE there. Just check it out at https://www.youtube.com/watch?v=VognjkYaMjg&list=UUuxpxCCevIlF-k-K5YU8XPA&feature=c4-overview . And remember, every TUESDAY I upload a new video, so don’t miss them. https://www.pellonautocentre.com/wp-content/uploads/2016/10/yt-40690-Fixing-A-Car-Air-Conditioner-That-Blows-Hot-Air-e1476444937724.jpg 350 622 Eric https://www.pellonautocentre.com/wp-content/uploads/2015/06/Logo_PellonCleanTrans.png Eric2018-10-09 05:19:412019-01-01 14:53:46Fixing Car Air Conditioner- If it blows hot air then it is not working? Of course, the air conditioners found in the car works similarly to the air conditioners used at present in the offices and houses. In simple words, the air conditioning system of a car is the smaller unit of window air conditioning systems found in many homes. Although they come out with the same end result. So, the mechanism of a car air conditioning system is quite different from the conventional domestic air conditioning units. The car system in my opinion is a little more complicated. The car system takes the warm air from out of the vehicles cab and recycles the air. Hence, through the cars air-con system. Returning the air to the cab as cold air. The system is really a heat exchange unit fitted under the cars bonnet. Therefore the air-con system can be very complicated to repair by the DIY motorist. 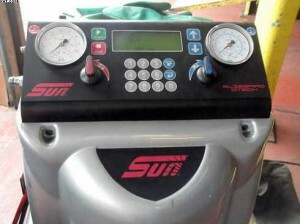 So if you got certain problems in the car air conditioning system then you need to visit your local car service centre. Such as Pellon Tyre and Auto Centre in Halifax UK. In order to understand, how the car air conditioning system operates. Then, it is required for you to know some of the various parts of the air-con unit. Although systems slightly differ? so In this system, there are two types of valves. There are expansion and dryer valves, which are required for the correct functioning of the air-con system. The function of expansion valves is to regulate the internal temperature of air, and it controls the refrigerant flow inside the system. This also reminds me that air-con systems are serviced by specialized equipment. Subsequently, our operators have to attend a course and be certified for using this specialist machines that we use. In general though, if your air-con system is giving you certain problems. So, call a local garage. Off course most of the problems that we encounter ares not a simple job to rectify. I recommend that drivers should have an annual air-con service. Possibly, at the same time as as your cars full service. Leakages take out all the gas present inside the air conditioner unit. This is probably the commonest problem that we encounter. Of course with the passage of time, the system becomes useless. This attached video gives an excellent description of how the Auto Air Conditioning system works in most models of car. This video represent a “Typical Auto Air Conditioning System – How It Works” as well shows the potential problem of over-charging systems with TXV Valves. Our solution at AC AVALANCHE is to use SMART CLIP Technology for the correct fill!